Some non-attorney representatives have been exploiting the customer claimants they represent in cases filed before Finra’s arbitration and mediation forum, Richard Berry, the regulator’s New York-based director of dispute resolution, warned at a Practising Law Institute conference last month. Berry said the exploitation of customer claimants had been “brought to our attention, in the form of allegations.” The allegations include some non-attorney representatives charging customer claimants $25,000 in non-refundable deposits for their interactions, some taking settlement money that the customer claimants were not aware of, and some representing the customer claimants without getting their consent. Berry said Finra is also concerned that, as far as it knows, non-attorney representatives don’t have malpractice insurance. How Finra addresses these concerns will be among Finra’s arbitration-related priorities in 2018, Berry said. Finra will “probably want to send out a regulatory notice seeking comment” on the appropriate action to take, said Berry. The options include Finra’s issuing guidance on what customer claimants should consider when hiring non-attorney representatives or “perhaps something as severe” as barring compensated non-attorney representatives in the arbitration and mediation forum, he said. Finra’s arbitration and mediation forum handles more than 99% of the securities-related cases in the U.S. It has a roster of more than 7,000 arbitrators and hearing locations in all 50 states, as well as Puerto Rico and London. Under Finra’s arbitration and mediation forum rules, parties may represent themselves, be represented by an attorney, or be represented by others who are not attorneys. 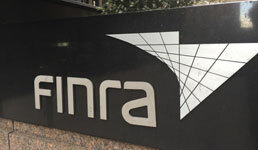 There are currently instances when non-attorneys are not allowed to represent parties in Finra’s arbitration and mediation forum, and these include instances when state law prohibits it, the chosen representative is currently suspended or barred from the securities industry in any capacity, or the chosen representative is currently suspended from the practice of law or disbarred. There are no specific guidelines for the qualifications of a person representing parties in Finra’s arbitration and mediation forum. Issues regarding the qualifications of a person to represent a party in arbitration are governed by applicable law and may be determined by an appropriate court or other regulatory agency. In the absence of a court order, the arbitration proceeding shall not be stayed or delayed pending resolution of such issues. Aegis Frumento and Stephanie Korenman, co-head of the financial markets practice group of law firm Stern Tannenbaum & Bell, suggested in a newsletter published in March that non-attorney representatives should be allowed in Finra’s arbitration and mediation forum only if a case is to be decided by a single arbitrator. Otherwise, they said, the parties should be represented by an attorney or a law student enrolled in a clinical program at an accredited school under the supervision of an attorney. What Do You Do When Clients Just Won’t Change? Argentina: Will the reforms in place pay off?